A family's dream holiday to the USA turned sour after airline staff lost one of their passports. Alan Raine's £5,500 trip to Florida fell apart when United Airlines staff lost his son's Ashley's passport at Manchester Airport. United offered them a later flight but without a passport, the Raine family were still unable to travel. Staff found the travel document on the arrivals baggage carousel a day later. Mr Raine,54, was supposed to head to Florida with his wife Yvette, son Ashley, 28, and grandson Ryan-Ellis, eight, as well as his parents-in-law Malcolm, 75, and Yvonne, 73, Bowes. But the incident meant that the family were unable to go on their dream holiday, which they had spent 13 months saving up for. They also lost money on car hire and theme park tickets in the US, as well as parking costs in the UK. The mishap highlights the importance of family travel insurance, which can often cover for unforeseen hiccups such as flight cancellations. Speaking of the incident at check-in, Mr Raine said the family knew they had handed all of the passports over and the first piece of luggage was checked in. Then the woman at the check-in desk said one of the passports was missing. "Even the security guard said he had seen them all," Mr Raine added. Unable to take United Airlines up on their offer of a later flight due to the missing documentation, the family returned home to Bishop Auckland, County Durham. Mr Raine criticised United for not offering a refund. 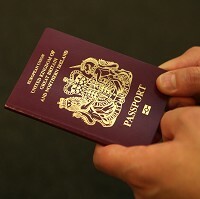 An airlines spokesman said: "We are sorry to hear about the disruption to the Raine's family travel plans following the loss of a passport at Manchester Airport. "United will contact the customer to offer a gesture of goodwill."